Today I had a photoshoot! and I had lots of fun!!! I streamed on showroom for about 1.5 hours! Tani was very glad （＾∇＾）!! I am glad that you enjoyed the stream! Another thing that made me hap! It made me happy to receive such comments. such supportive comments from everyone! This time! Regarding the General Election. I want to rank up even though it is difficult. To stand on stage smiling from the bottom of my heart. I definitely want to be smiling with everyone this year! This feeling is very strong（＾∇＾）! I, with a burning passion, want to be #1＾∇＾）!!!! Sorry for saying this so late. I want to push my way through (the General Election) this June! With everyone in SKE48, I want to cry happy tears. Please feel free to come and see me. I’ll put a lot of energy into choosing my clothes~!!!! Well! I hope my throat will heal（＾∇＾）!!! Tanaka of Cocorico and Kohinata Shie to Divorce. Custody of Two Sons goes to Tanaka. Here is a translation of a Sponichi article on May 2, 2017, followed by summaries of discussion on the divorce from High Noon TV Viking! on May 3 and Wide na Show (a talk show hosted by Matsumoto) on May 5. Tanaka Naoki (46 years old) of comedy duo “Cocorico” announced on the 2nd that he obtained a divorce. A divorce by mutual consent was agreed upon and the divorce papers were already filed. Tanaka will have custody of both children – two sons – but nothing else was made public and there are no plans to hold a press conference. Tanaka married entertainer Kohinata Shie (37 years old) in June of 2003. They had their first son a year later in June of 2004 and had a second son in April of 2008. Apologies for the personal affair, but I, Tanaka Naoki, have divorced Kohinata Shie. This conclusion was reached after discussing over the matter many times. From this point on, we won’t be husband and wife, but we plan to uphold our responsibilities as father and mother to children. My sincerest gratitude to those around us for your support and to colleagues. 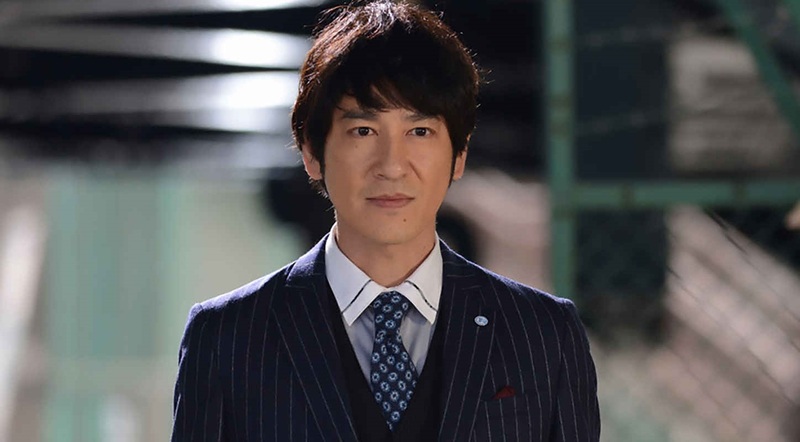 Tanaka from a 2017 drama (Masuyama Chounouryokushi Jimusho). 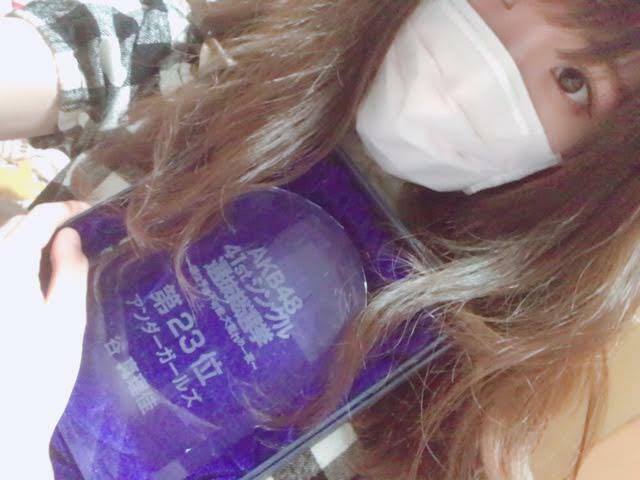 -Kohinata used to upload content about Tanaka and their children on Twitter but from about 2 years ago, Kohinata stopped uploading content about Tanaka (she continue to Tweet about her children). -From about 4-6 years ago, the two may have started to become more distant. Around this time, Kohinata may have been putting more energy into her career. -Tanaka and his agency made announcements about the divorce but Kohinata has yet to do so. Then, perhaps Kohinata is the who one had some development in her life that caused the divorce? -Tanaka told Matsumoto of the divorce before his public announcement. -Matsumoto says that he doesn’t want to know the details as any married couple surely has their own issues anyway, so he told Tanaka that he doesn’t need to tell him why they divorced. -Matsumoto says that on Gaki No Tsukai, it seems that at least one of the five is always single. When the other four were married, Matsumoto was still single. When Matsumoto got married, Endo was divorced. After Endo re-married, Tanaka has now divorced. He says that after Tanaka has re-married, perhaps Hamada will finally be abandoned by his wife. -Matsumoto says that he hopes divorces by comedians can be treated less gloomily. The fact is that they wanted to divorce and they got a divorce. Loosely translated, “Compared to people who want to divorce but don’t or compared to the past, it’s better. People say they feel sorry for the kids, but that’s for the kids to decide. I’m sure the kids will have many happy times in their lives after this. It’s none of people’s business whether they think the kids will be happy or not after this. So I hope that divorces by comedians can be treated, not exactly like in a ‘more fun’ way, but less gloomily. After all, for a comedian, a divorce is like a funny joke. I don’t really know if it’s the marriage or it’s the divorce that’s the funny joke, but… And in Tanaka’s case, his joke is falling flat a bit here.” The studio laughs at Matsumoto’s comparison of a comedian failing to get laughs from his joke and a comedian’s gloomy divorce. -In the past, parental rights almost always went to the mother, but recently, there are more cases where it went to the father. But if the father, like Tanaka, is very busy with work, it remains a question who takes care of the children. There are cases where the father has parental (guardian of asset) rights but the mother has childcare (custody) rights. But rumors are that Kohinata is the one who physically moved out of the home.